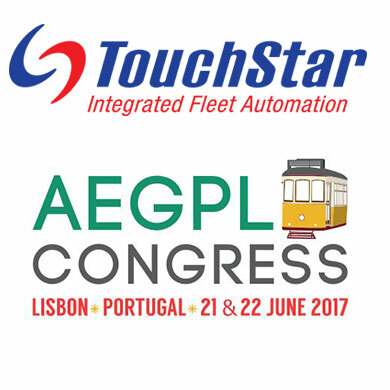 Tulsa, USA, May-31-2017 — /EuropaWire/ — TS EMEA, a provider of logistics and mobility software solutions, announced that it will present its NextGen enterprise software at the AEGPL Congress on 21-22 June in Lisbon, Portugal. The AEGPL Congress serves as both a platform to discuss issues relevant to the LPG industry and as an arena for companies to showcase their latest innovations for a global audience. TS EMEA will set up in Stand #C18 in the Lisbon Congress Centre both days of the conference. While there, TS EMEA will highlight TouchStar’s propane and LP gas distribution Android application, TransPac, and the company’s integrated telematics and fleet tracking solution, TS FleetWatch. The 2017 AEGPL Congress anticipates an audience of 1,500 industry stakeholders from Europe and abroad. TS EMEA intends to strengthen its relationships with stakeholders with whom it currently serves, as well as to establish itself as the leading LPG mobility solution provider with those who are newly in need of a NextGen mobility solution for their LPG fleets. Meetings may be arranged with TS EMEA General Manager, Robert Pabeschitz, by contacting TS EMEA online at http://www.touchstargroup.com/contact-emea/. Mr. Pabeschitz may also be contacted via email at sales.emea@touchstargroup.com.